Virtuozzo Automator is a flexible and easy-to-use administration tool for managing groups of physical servers running Virtuozzo. With Virtuozzo Automator, you can manage both physical servers and virtual environments hosted on those using a Web browser. HostBill integration with Virtuozzo Automator gives you the opportunity to sell single VPS, flexible or fixed cloud and use our various billing models to bill for disk size, OS templates, backups, CPUs and memory. 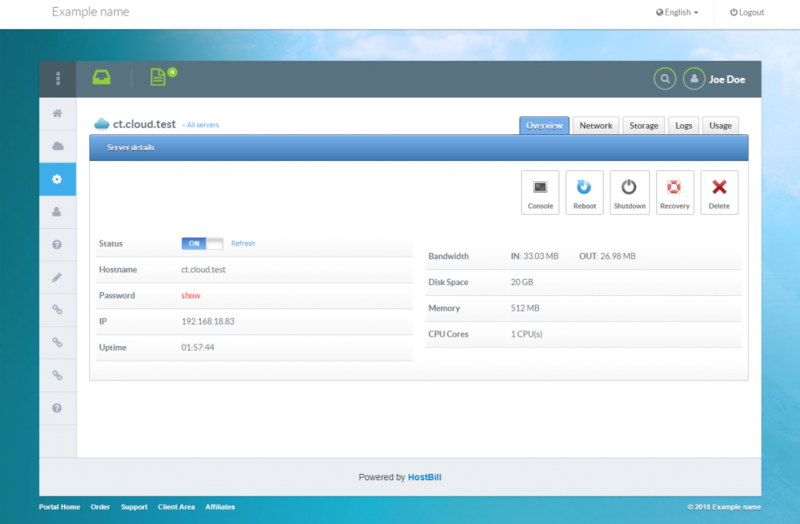 HostBill automation takes care of creating Virtual Machines and Containers as well as managing the whole account lifecycle. The module is extremely feature rich on the client side. Depending on the client functions enabled by the admin, clients can create and destroy virtual machines and containers and have full control over them; create and manage backups, track bandwidth usage and display various graphs, browse VM logs and more. Admin area allows to browse virtual machines and control the power, manage billing details and account lifecycle. 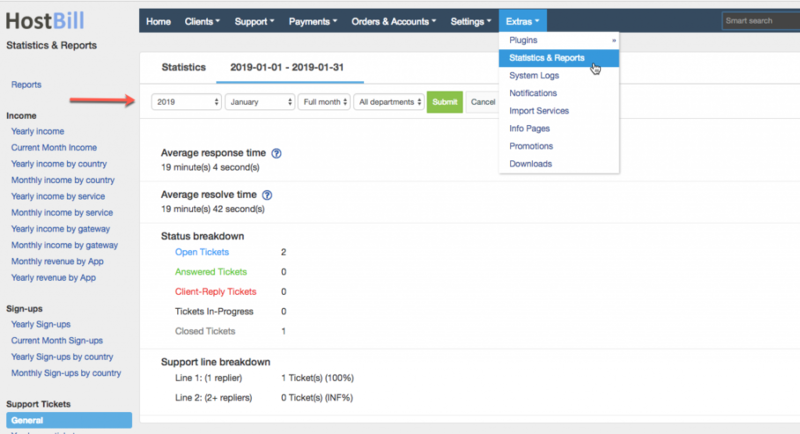 Reports in HostBill can be easily accessed through a customizable widget on the admin dashboard. Now you can not only edit data series used in a report but also sort and edit color assigned to given data series. For some this change may be insignificant, but achieving color harmony in business reports provides a visual platform for presenting the information effectively! The full changelog with the list of new features added and bug fixed this week is available here.